70" x 29" inches. 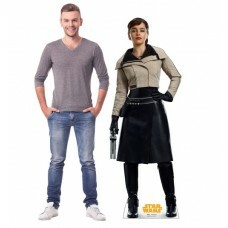 Our cardboard cutout of Beckett? (Star Wars Han Solo Movie). Items are printed and..
87" x 36" inches. 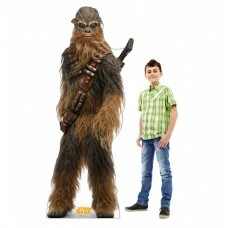 Our cardboard cutout of Chewbacca? (Star Wars Han Solo Movie). Items are printed a..
84" x 88" inches. 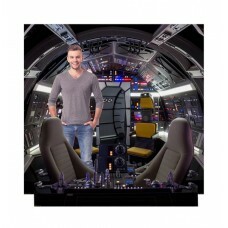 Our cardboard cutout of Cockpit of Millenium Falcon Backdrop? (Star Wars Han Solo ..
74" x 43" inches. 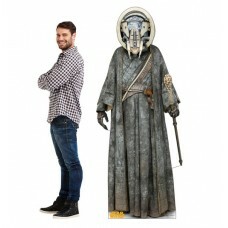 Our cardboard cutout of Enfys Nest? (Star Wars Han Solo Movie). Items are printed ..
69" x 26" inches. 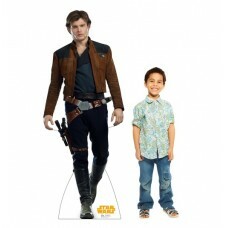 Our cardboard cutout of Han Solo? (Star Wars Han Solo Movie). Items are printed an..
87" x 42" inches. 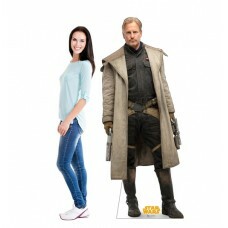 Our cardboard cutout of Han Solo? 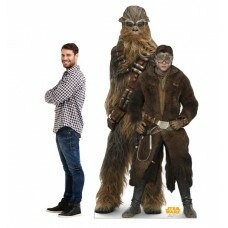 and Chewbacca? (Star Wars Han Solo Movie). Items..
70.5" x 28" inches. Our cardboard cutout of L3-37? (Star Wars Han Solo Movie). Items are printed and..
70" x 30" inches. 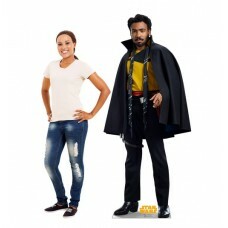 Our cardboard cutout of Lando? (Star Wars Han Solo Movie). Items are printed and p..
76" x 31" inches. Our cardboard cutout of Moloch? (Star Wars Han Solo Movie). Items are printed and ..
70" x 30" inches. 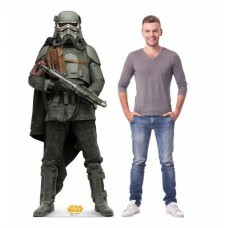 Our cardboard cutout of Mudtrooper? (Star Wars Han Solo Movie). Items are printed ..
62" x 22" inches. Our cardboard cutout of Ql'Ra? (Star Wars Han Solo Movie). Items are printed and p..
70" x 32" inches. 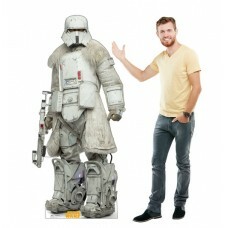 Our cardboard cutout of Range Trooper? (Star Wars Han Solo Movie). Items are print..
70" x 26" inches. 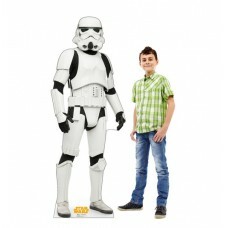 Our cardboard cutout of Stormtrooper? (Star Wars Han Solo Movie). Items are printe..